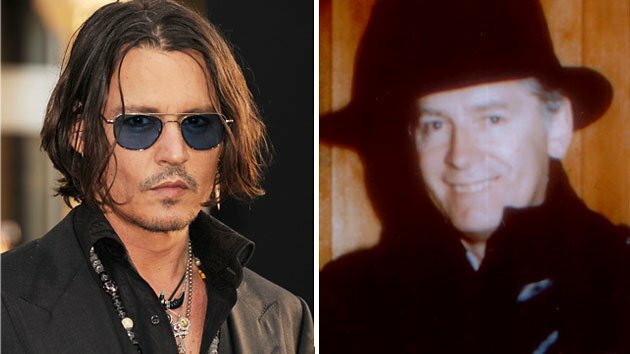 Johnny Depp has dropped out of Black Mass, the notorious gangster Whitey Bulger biopic, after being asked to take a $10 million pay cut. Johnny Depp, 50, was to have been paid $20 million to star in Black Mass which told the story of Boston mobster Whitey Bulger. But after producers shopped the film to buyers at the Cannes Film Festival in France and failed to attract a large number of bids they asked Johnny Depp to drop his usual $20 million fee. The actor refused to agree to the paycut – and has walked away from the production. Producers of the film to be directed by Hollywood veteran Barry Levinson had wanted to trim their budget down to $60 million. According to the Hollywood Reporter pre-sales of the film at Cannes had been “soft”. Whitey Bulger was on the FBI’s Most Wanted list for over 10 years and wanted for murder. He was captured in June of 2011 after his girlfriend was spotted visiting a beauty salon. The FBI had placed adverts in beauty magazines asking people to be on the lookout for Whitey Bulger, 83 and his girlfriend Catherine Greig. The pair were arrested in California. Whitey Bulger was wanted for the murder of at least ten people and was said to be the basis for the Jack Nicholson character in the film The Departed. Johnny Depp, one of the highest paid actors in Hollywood, will next be seen in The Lone Ranger which opens in July. He plays Tonto, the native American partner of the Lone Ranger.